A LABOUR TD who was accused by a Twitter user of rudely dismissing him on the social media site with a nonsense tweet has denied that he sent the message. 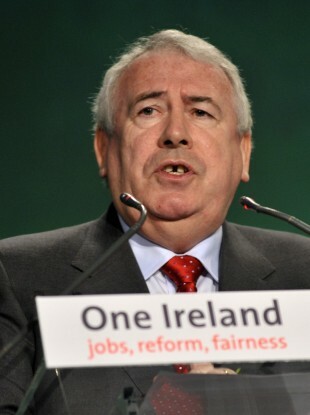 Mature student Will McGrath tweeted several Labour TDs this week – including Dublin deputy Joe Costello – to criticise the current Government in relation to the possible reintroduction of third-level college fees. Nothing has been yet decided on such a reintroduction but it is understood that several solutions to the current funding crisis at third-level are being discussed at departmental level. I haven’t tweeted in the last five days or so. I’m not foolish enough to tweet something like that. It must have been some glitch in my iPhone. I don’t use Twitter to have a debate or dialogue on issues. I had no intention of responding at all. I see that he hasn’t tweeted that often. I think he’s using it as a mechanism to round up some more followers. He’s obviously a but uncomfortable with answering on the issue. Email “Joe Costello denies 'snooze' tweet”. Feedback on “Joe Costello denies 'snooze' tweet”.